In Iraq, who is the kingmaker? Next story in None 2. What role for the rest of the world? 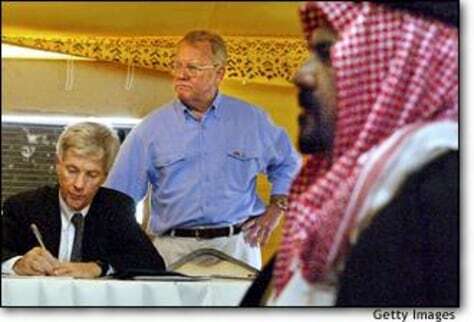 Retired U.S. General Jay Garner (C) and State Department official Ryan Crocker (L), attend a U.S.-sponsored Iraqi citizens' meeting to discuss a post-war Iraq.